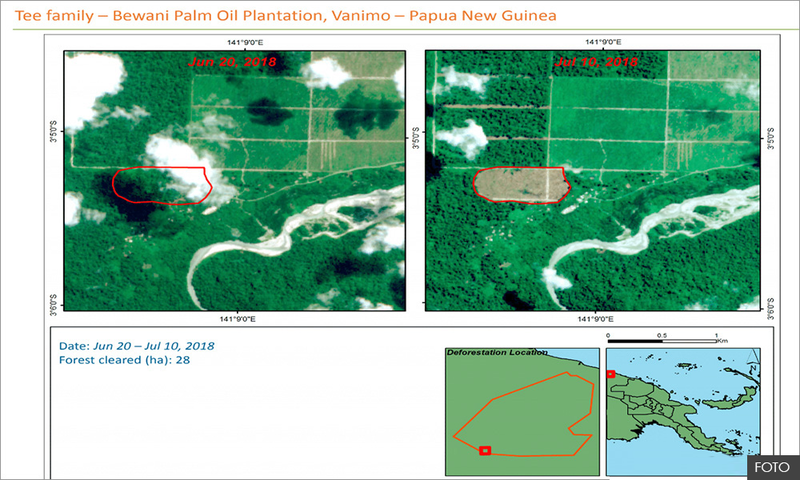 LETTER | A palm oil company owned by a prominent Malaysian family, Bewani Oil Palm Plantations Limited (BOPPL) headquartered in Vanimo, Papua New Guinea (PNG), has cleared an estimated 25,000 hectares of forests including an estimated 12,000 ha in the last four years since obtaining a lease for the palm oil development project in 2010. BOPPL obtained a lease for almost 140,000 of forests eight years ago. These are pristine rainforests are made up of primary and secondary forests. Clearing forests for palm oil or any other agricultural crop is unacceptable and must stop. BOPPL holds a Special Agricultural Business Lease, or SABL, which is an agricultural lease given out to developers by the PNG government on behalf of customary landowners. In 2013, a report by the PNG Commission of Inquiry into the Special Agriculture & Business Leases found widespread abuse, fraud and lack of accountability and transparency, among others, in the awarding of SABLs in the country. The commission report, which accused BOPPL as a company with a "chequered history", also recommended that its SABL be revoked. In early 2017, PNG's Prime Minister Peter O'Neill announced that all SABLs in the country had been declared illegal and that they should be revoked while earlier this year a PNG online news portal reported that BOPPL's lease had been cancelled following a court decision due irregularities in the awarding process of SABLs though this was contested in a major PNG newspaper owned by Malaysian logging giant Rimbunan Hijau. 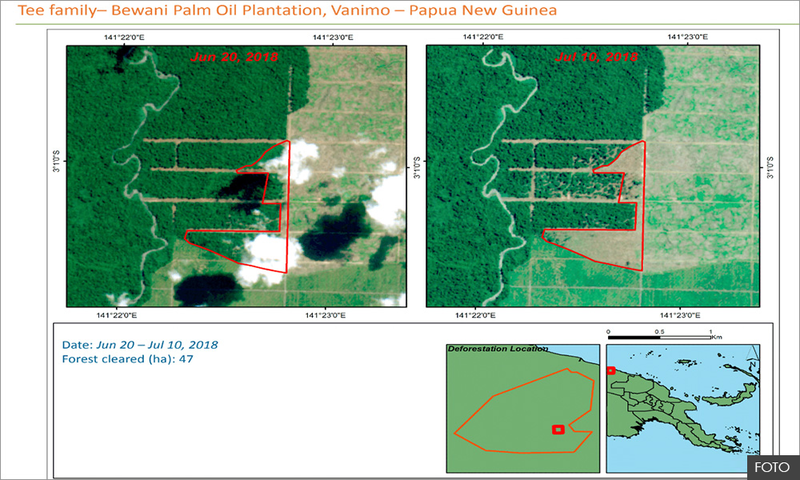 BOPPL has continued to clear forests and satellite images show that clearing was taking place as of July this year. The company plans to plant 20,000 ha of oil palm trees by 2020. BOPPL is owned by nine members of the prominent Malaysian Tee family who are also shareholders of eight palm oil mills in Peninsular Malaysia. These mills appear in the supply chains of companies with sustainable purchasing policy commitments including Sime Darby, IOI, PepsiCo, Nestle, Unilever and others. The palm oil industry is undergoing a shift since the last few years as more and more companies adopt sustainability policies and remove deforestation from their supply chains. That many of these companies are still buying palm oil from mills owned by individuals active in forest clearing undermines these sustainability policies and attempts to combat deforestation in the industry. One question that remains is how the Tee family are funding this venture. With an investment cost of around RM30,000 per hectare for infrastructure and costs to maturity, the capital needed for a plantation of this size are significant. The Tee family are also the majority shareholders of four palm oil mills (Tagar Properties, Rompin Palm Oil Mill, Prosper Palm Oil Mill and Endau Palm Oil Mill) and the minority shareholders of four other mills (KilangKosfarm, WujudWawasan, Kilang Sawira Makmurand Cheekah-Kemayan Plantations) in Peninsular Malaysia. These mills appear in the supply chains of companies with sustainable purchasing policy commitments, including Wilmar, IOI, Musim Mas, Bunge, Mewah, ADM, Sime Darby, AAK, Cargill, Colgate Palmolive, PepsiCo, Reckitt Benckiser, General Mills, Mondelez, P&G, Nestle, Olam, Mars and Unilever. The writer is director of environmental organisation Friends of Orangutans Bhd (Foto).